Environmental Working Group | Dabble With.. Ounce for ounce, water costs more than gasoline, even at today’s high gasoline prices; depending on the brand, it cost 250 to 10,000 times more than tap water. Globally the bottled water industry is now worth $46 billion. More than half of all Americans drink bottled water; about a third of the public consumes it regularly. Sales have tripled in the past ten years, to about $4 billion a year. This sales bonanza has been fueled by ubiquitous ads picturing towering mountains, pristine glaciers, and crystal-clear springs nestled in untouched forests yielding pure water. But is the marketing image of total purity accurate? Also, are rules for bottled water stricter than those for tap water? Is there a health impact? The bottled water industry promotes an image of purity, but in fact it is exactly the opposite. Bottled water has been seen to contain chemical contaminants (toxic byproducts of chlorination). 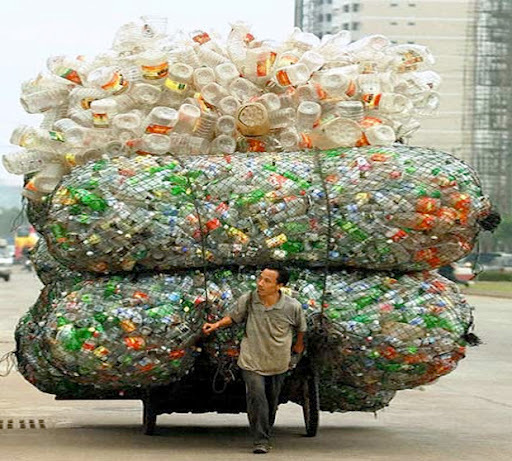 According to the Earth Policy Institute, 86% of plastic water bottles in the United States end up in landfills, which has a long-term effect that could impact ground water. The Environmental Working Group (EWG) conducted a study of 10 major bottled water brands. The laboratory test conducted by EWG at one of the countries leading water quality laboratories found that 10 popular brands of bottled water, purchased from grocery stores and other retailers in nine states and the District of Colombia, contained 38 chemical pollutants altogether. With an average of 8 contaminants in each brand, more than one-third of the chemicals found are not regulated in bottled water. The Achieves of Family Medicine, researchers compared bottled water with tap water from Cleveland and found that nearly a quarter of the samples of bottled water had significantly higher levels of bacteria. The NRDC reports, water stored in plastic bottles for ten weeks showed signs of phthalate-leaching. Phthalates block testosterone and other hormones. One thing to keep in mind phthalates in tap water are regulated, no such regulation at all for bottled water. Where is all the Legislation? In 2007, the State of California passed a law (SB 220) designed to reverse the dearth of basic public data about the quality of bottled water. The law mandates that water bottled after January 1, 2009 and sold in California must be labeled with both source and two ways for consumers to contract the company for the water quality report. (96 bottled water companies present in California and only 34% complied with SB 220. The State of California has legal limits for bottled water contaminants. However, unlike tap water, consumers are provided with test results every year of the source contaminants and purity. Bottled water industry is not required to disclose the results of any contaminant testing. Instead, the industry hides behind the claim that bottled water is held to the same safety standard as tap water. But keep in mind both bottled water and tap water suffer from the occasional contamination problem, but tap water is more stringently monitored and tightly regulated than bottled water. For example New, Your City tap water was tested 430,600 times during 2004 alone. In 2008, more than 100 bottled water facilities were operating within California. Each of those facilities reports the amount of water extracted from groundwater sources to the state Department of Public Health.The Department of Public Health then relays the information to the State Water Board, who tabulates all water inventory of water rights for the state of California. AB2275 was put in place in California to ensure that the state’s water is responsible allocated in ways that protect our environment, economy and quality of life. The Food and Drug Administration oversees bottled water, and the U.S. EPA is in charge of tap water. The Safe Drinking Water Act empowers EPA to require water testing by certified laboratories and that violations be reported within a specific time frame. (Public water systems must also provide reports to customers about their water.) The FDA, on the other hand, regulates bottled water as food and cannot require certified lab testing or violation reporting. As a result, the FDA does not require bottled water companies to disclose to consumers where the water came from, how it has been treated or what contaminates it contents. The water bottle industry has grown to become a $10 billion (2010), doubling in growth over recent years. In 2004, Americans, on average, drank 24 gallons of bottled water, making it second only to carbonated soft drinks in popularity. 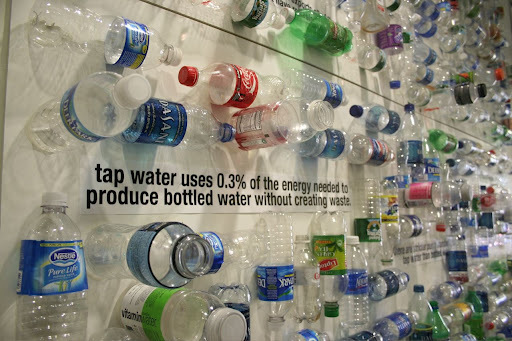 Bottled water costs 10,000 times more than tap water, and 40% of bottled water comes straight from the tap. Some may say the appearance, odor, flavor, mouth, feel, and aftertaste impact their choice in which type of water they prefer to drink but what cost are they will pay. If you drank the 99-cent bottle today, then took the bottle home and continued to use it, you could refill it every day with tap water until July 3, 2017, before you’d spent 99 cents on the tap water.The NYT article “Bad to the Last Drop” provides a great perspective on the comparison of bottled and tap water. However, bottled water is undeniably more fashionable and convenient than tap water. The practice of carrying a small bottle, pioneered by supermodels, has become a commonplace. The ultimate price for water! An interesting article was published in Cleveland Plain Dealer that described an interesting perspective on revenue generation of water fountains vs. bottled water. When the Cleveland Plain Dealer published an article about the disappearing water fountains halfway through the NBA season, the Cavaliers first said they were following advice from the NBA, that water fountains spread swine flu (the NBA never gave such guidance). The Plain Dealer pointed out that the removal was illegal — public buildings are required by building codes to have water fountains, the number based on capacity. Fans were so angry — once the paper pointed out that the fountains were gone; strange they hadn’t noticed — that the Cavaliers set up temporary water stations around the arena, so those who wanted a drink didn’t have to stand in line. The Q then scrambled to re-install the fountains. By then, the Cavaliers alone had hosted 29 sold-out home games at the Q — almost 600,000 thirsty fans. If just 10 percent of those fans bought a $4 bottle of water they otherwise wouldn’t have, that’s nearly $10,000 in additional concession revenue, just for water, at each game. In April of last year Concord, Ma. banned the sale of Bottled Water, Making international headlines. However when the ban was intended to go into effect in January of 2012 voters at the annual town meeting rejected the proposal and instead proposed to educate citizens about bottled water’s environmental impact. Well in 2010 a ban on bottled water at all events held on city property was considered but never turned into law. However San Francisco has already done away with bottled water at city meetings. 19 US cities, 14 states, and 12 countries make an impact to steer away from bottled water. More than 2.6 billion people, or more than 40% of the worlds population, lack basic sanitation, and more than one billion people lack reliable access to safe drinking water. The World Health Organization estimates that 80% of all illnesses in the world is due to water-borne diseases, and that at any given time around half of the people in developing world are suffering from diseases associated with inadequate water sanitation (killing more than 5 million people annually). If clean water could be provided to everyone on earth for an outlay of $1.7 Billion a year beyond current spending on water projects, according to the International Water Management Institute. Improving sanitation, which is just as important, would cost a further $9.3 billion per year. So I guess at the end of the day society needs to decide what we want for our future and legislation will assist in securing the well being of our resources.